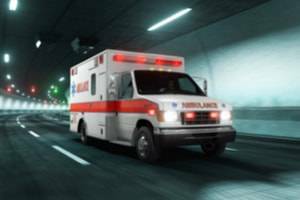 When Can Ambulance Drivers Be Liable for Car Accidents? Employees of a private ambulance service. The Illinois Supreme Court’s ruling on Wilkins v. Williams established the broad immunity for ambulance drivers, but a recent Illinois appellate court case tested the boundaries of those protections. In the case of Hernandez v. Lifeline Ambulance, the plaintiff is filing a personal injury lawsuit against an ambulance driver and his employer. The ambulance was on its way to pick up a patient for non-emergency medical transport when it struck the plaintiff’s vehicle. The circuit court approved the defendants’ motion to dismiss the complaints, citing the immunity under the EMS Act and the decision in Wilkins v. Williams. In a 2-1 decision, the appellate court overturned the lower court’s ruling. The two judges said that the current case differs from Wilkins v. Williams because the ambulance driver did not have a patient in the vehicle. They interpreted the law’s definition of non-emergency medical treatment as starting when an ambulance receives the patient. If the writers of the law meant to extend the immunity beyond that, they would have mentioned the time period during which the ambulance was traveling to reach the patient, the judges said. Thus, the circuit court cannot dismiss the complaints based on immunity. The dissenting judge interpreted the law differently, saying that his colleagues applied a limitation to the EMS Act that does not exist. He said the writers of the law did not specifically exclude this driving period from immunity and concluded that being dispatched to pick up the patient is the start of the non-emergency medical care. There is a difference of opinion in the Illinois court system about when an ambulance driver should be liable for personal injuries in an accident. We do know that receiving personal injury compensation from an ambulance driver is more difficult than with other drivers. A DuPage County personal injury attorney at Walsh, Knippen & Cetina, Chartered, can help you build a case. To schedule a free consultation, call 630-462-1980.